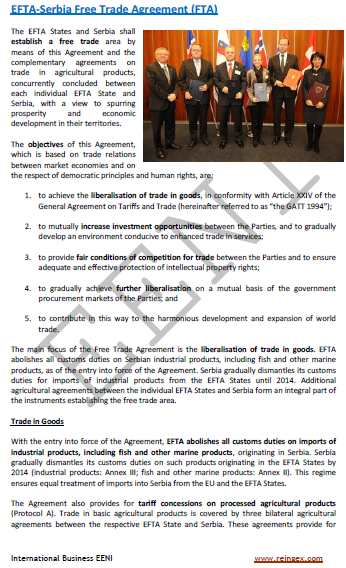 Syllabus of the Online Course (Subject): European Free Trade Association (EFTA). 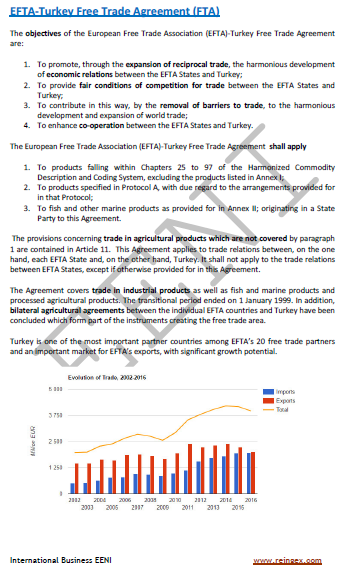 The European Free Trade Association (EFTA) is a regional economic organisation created for promoting free trade and economic integration. The member economies are Iceland, Liechtenstein, Norway, and Switzerland. 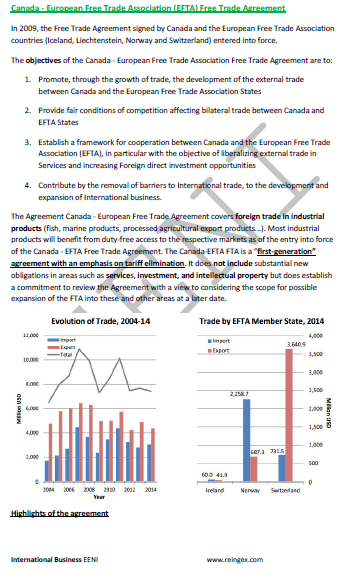 The European Free Trade Association (EFTA) countries (Iceland, Liechtenstein, Norway, and Switzerland) are small but world leaders in several sectors. The European Economic Area consists of the twenty-eight European Union member economies (BREXIT) and the three European Economic Area - EFTA States (Iceland, Liechtenstein, and Norway) into an internal market lead by the same rules and regulations, with the objective to enable international trade in goods and services, capital, and people to move freely in the European Economic Area. 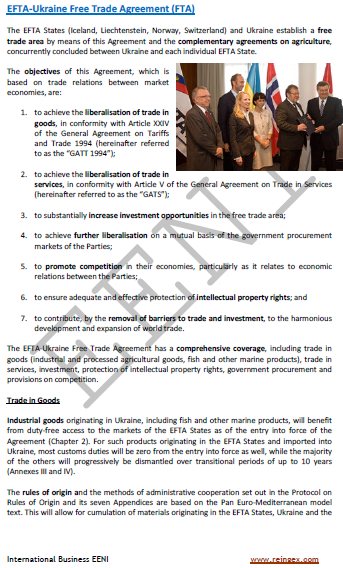 A substantial part of the European Economic Area Agreement concerns the free movement of products. 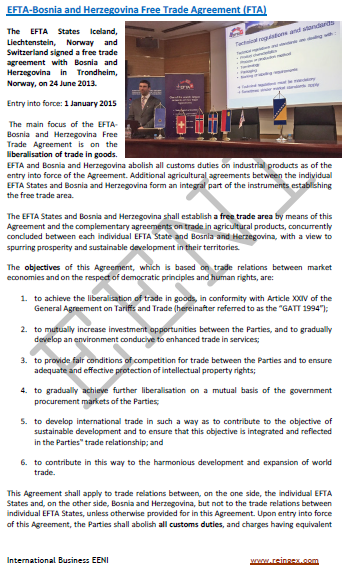 The main principle is that the export products may be traded between all the thirty Member States without customs duties or Barriers from national regulations. 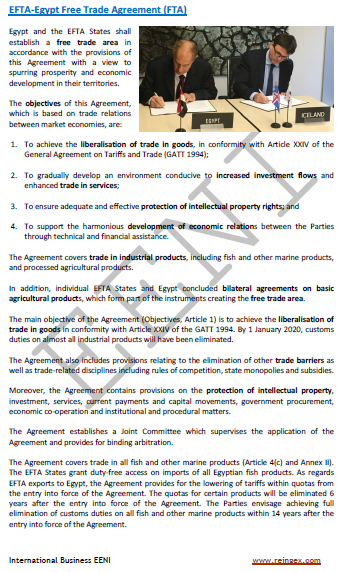 The European Economic Area Agreement grants the freedom to provide services anywhere in the European Economic Area. 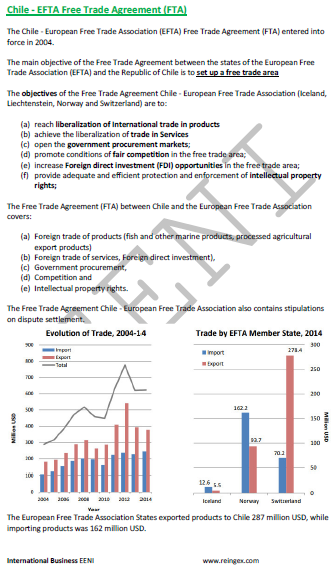 The European Free Trade Association (EFTA) belongs to the European Economic Area of Western Christian Civilisation. 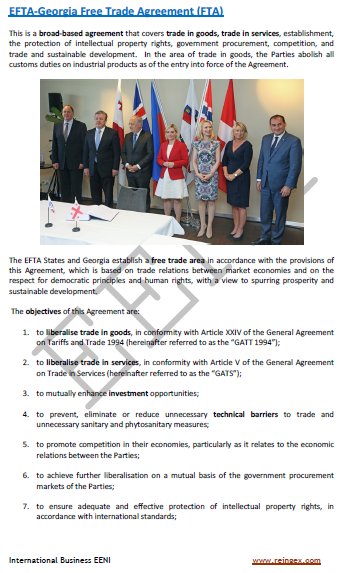 Switzerland has signed bilateral Trade Agreements with the European Union (EU).